Vedanta Ceramica is one of the well-known Manufacturers, Suppliers and Exporters of Industrial Minerals. 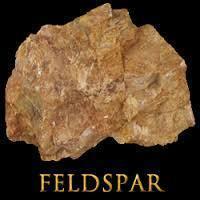 We offer diverse range of Industrial Minerals such as Powder , Calcite Powder, Acidic Ramming Mass and Feldspar. Our products find application in industries like Wall & Floor Tiles, Sanitary-ware, Glass, Frits, Soaps, Detergents, Cosmetics, Paper, Paint, Texture Paint, Electric Insulators, etc. We ensure 100% quality of our products through proper tests conducted at our laboratories. We have adopted a culture where customer satisfaction is given first preference. Thus, our 100% customer-oriented services have earned us a valuable client-base. Majority of Indian glass and ceramic manufacturers consistently obtain Industrial Minerals from us and we aspire to establish the same place in global market as well. We are capable of taking up bulk orders of Industrial Minerals.